Living in the Pacific Northwest means it might be sunny when I leave for a session and pouring down rain when I arrive 15 minutes later! The good news is our memories of the moments that matter most are beautiful regardless of the weather. Jim and Rachel weren’t phased one bit by the weather. Without even batting an eye, Rachel hiked up that gorgeous white dress, slipped on her cowboy boots, and trekked with me through the rain to this peaceful spot in the country. These two have the most amazing chemistry and clear love for each other. If I didn’t know any better, I might think I was photographing their wedding day. 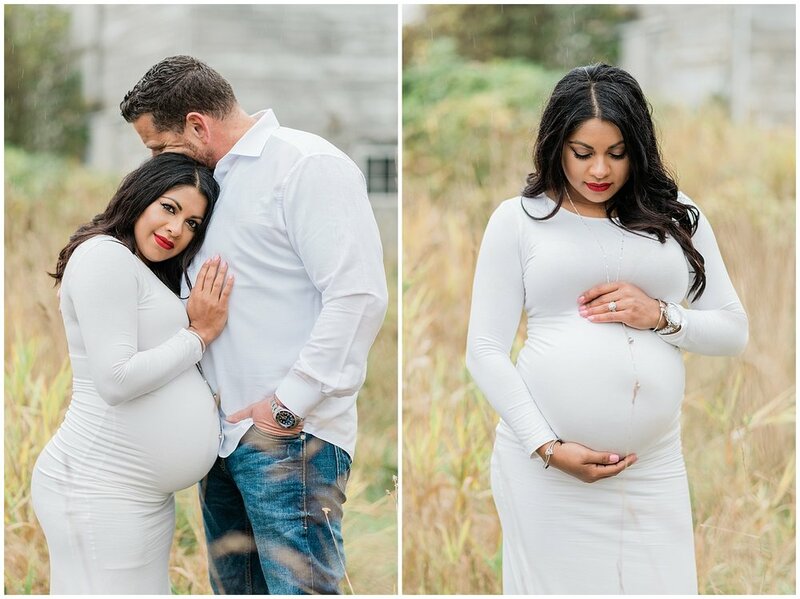 At 36 weeks pregnant, Rachel is nothing short of stunning, and Jim was all heart eyes for her (and the perfect baby boy she is carrying) the entire session. Thank you Jim and Rachel for allowing me to capture this exciting season in your lives. I cannot wait to meet your precious Maverick!